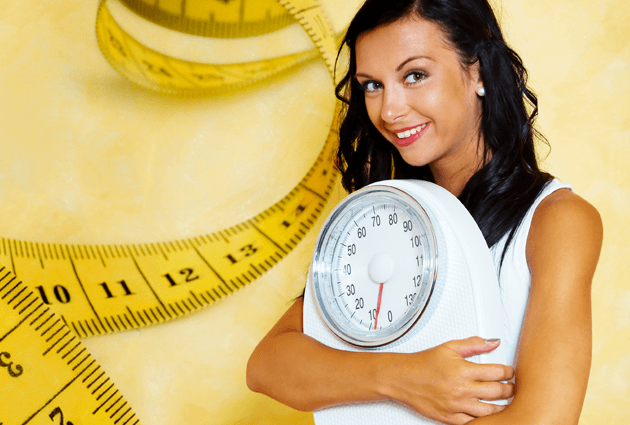 There is no question that maintaining a healthy weight is important to overall health, but not everyone can or will be a size 6. The good news is that even if you’re significantly overweight, a modest weight loss — 10 percent of your body weight — can produce dramatic improvements in health, such as improved blood pressure, cholesterol and blood sugar levels. But before you banish all “fattening” foods from your kitchen and subsist on carrot sticks and tuna, read on. Amid all the fad diets and strange recommendations, the best advice is still what common sense dictates: Exercise regularly and eat sensibly. That means eating a varied diet rich in whole grains, legumes, fruits, vegetables, lean meats and fish, and low-fat dairy products, and keeping portion sizes reasonable. And still, you’ve got to enjoy the food, because you’re not going on a short-term “diet.” Rather, you’re changing the way you eat for life, which is the only way to lose weight and keep it off for good. Use the USDA Food Guide Pyramid (and, if you’re a vegetarian, the Vegetarian Diet Pyramid) to help plan meals that are rich in nutrients and low in fat and empty calories. Here are some more weight-management tips. Reduce dietary fat. If your diet is high in fat, particularly artery-clogging saturated fat (found in red meat, butter, cheese, and whole-fat dairy products), it’s a good idea to cut back. Alter recipes to reduce fat and make low-fat substitutions in your diet when possible. For example, use chicken broth instead of butter when making mashed potatoes. Try 1 percent-fat milk instead of 2 percent. Don’t rely solely on fat-free versions of treats, such as cookies, cakes and chips, which are still high in calories, to reduce the fat in your diet. Rather, replace high-fat foods more often with low-fat, high-fiber foods, such as whole grains, legumes, fruits and vegetables. Remember, calories still count. At the end of the day, no matter what kinds of foods you’ve eaten, if you’ve consumed more calories than you’ve burned off, you’re going to gain weight. Limit foods that are high in calories and low in nutrients, such as soda, fruit drinks, cookies, chips and sweets. Keep portion sizes reasonable. This doesn’t mean you have to starve. For example, include brown rice, vegetables and salad with your meal and your 4-ounce piece of meat, poultry or fish won’t seem so skimpy. Plan on taking a doggie bag when dining out, since restaurant portions are frequently two to three times bigger than standard portion sizes. Eat only when you are hungry. It sounds simple enough, but people eat for all kinds of reasons other than hunger, such as out of boredom or depression or in conjunction with other activities, such as watching television. Take a moment before eating to assess whether you are truly hungry or there is something else you need other than food. Write it down. Many people who have successfully achieved and maintained weight loss have kept a food diary. Every time you eat something write down what it is, how much and the time of day. You’ll become much more aware of what you are actually eating and after a couple of weeks you may start to see patterns emerge. For example, do you usually hit the vending machine for candy bars or chips to beat late-afternoon hunger pangs? Then maybe you aren’t eating enough for breakfast or lunch. Study your patterns to see where you can make healthful changes. Don’t allow yourself to get too hungry. Becoming over-hungry can sabotage even the best eating intentions. The keys to keeping hunger pangs at bay are to eat small, frequent meals and snacks; choose low-calorie, high-fiber foods that are filling (whole grains, legumes, fruits and vegetables); and drink plenty of water throughout the day. Don’t constantly deprive yourself. Believe it or not, there is a place for french fries and ice cream in a weight-loss plan. Eat small portions of your favorite treats once in a while and enjoy every bite. Otherwise, feelings of deprivation can lead to overeating. Be realistic. Gradual weight loss is the most likely to be maintained over the long term, so don’t try for more than a one- or two-pound loss per week. And allow yourself some slack every once in a while. Whether it be a week full of business lunches or birthday parties, you won’t always be able to stick to your plan. Make the best choices with what is available to you and don’t sweat it.